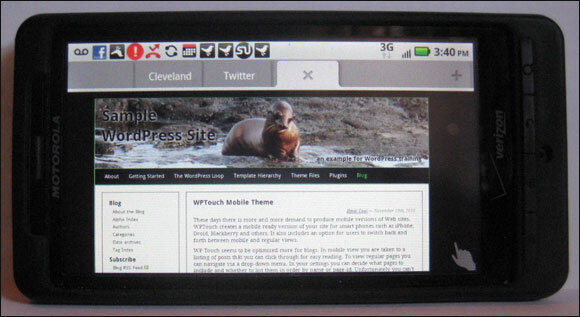 These days there is more and more demand to produce mobile versions of Web sites. 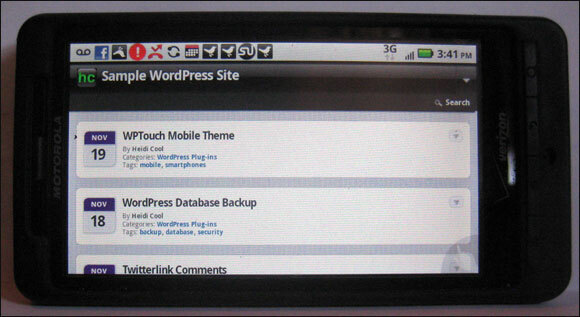 WPTouch creates a mobile ready version of your site for smart phones such as iPhone, Droid, Blackberry and others. It also includes an option for users to switch back and forth between mobile and regular views. 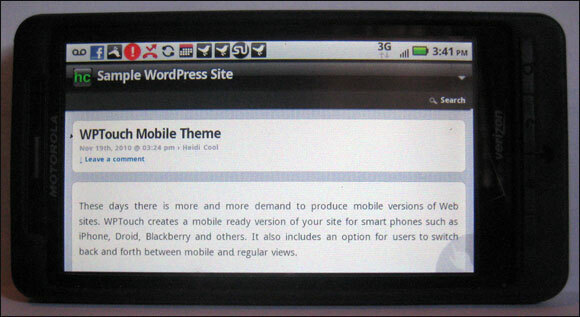 WP Touch seems to be optimized more for blogs. 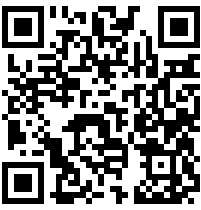 In mobile view you are taken to a listing of posts that you can click through for easy reading. 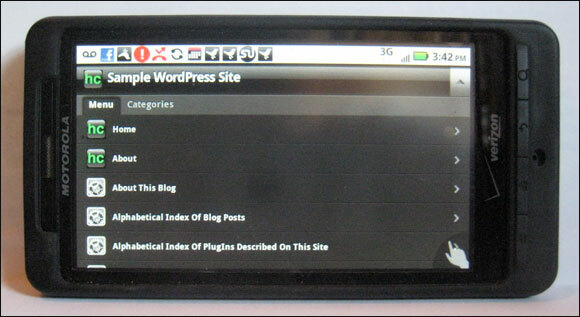 To view regular pages you can navigate via a drop-down menu. In your settings you can decide what pages to include and whether to list them in order by name or page-id. Unfortunately you can't order the pages manually so if you've arranged pages into parent child relationships, as I have on this site, they won't show up in those related groups. So generally I find it makes more sense to view pages in regular mode while reading blog posts in mobile mode. That said, I've not spent a lot of time experimenting with mobile options for WordPress pages, so I still need to explore other solutions. If you have other suggestions please add them via the comments below.